Snowbird recordings is a wholly-owned company of Jill Sharp located in Anderson, South Carolina. She writes, sings, and produces musical recordings for the public. Jill is also available for live shows, which will include her own music. Musical arrangements can also be provided for live bands performing for her shows. Jill is a native of South Carolina having been born in Winnsboro and raised in Ridgeway (Fairfield County) as Geraldine Kelley.. She attended shool at Fairfield High School, and Anderson College, Anderson, SC. She has always been fascinated by the music industry and started singing at an early age of 9. She was not able to attend college after her graduation from high school due to the number of children in the family, and her parents economic status. She sang with a few groups, including a country western band after growing up, and having children of her own. She always wanted to write, and produce her own songs, which she started doing at the age of 9. Each of her songs were written and are sung by her. Her first CD entitled "This Time I'm Right" is now available in record stores throughout South Carolina, and can be heard on various radio stations throughout the United States. She also has two new gospel singles which she will be producing in early December 2005. Her second CD entitled Best Songs Of Jill Sharp was released in June 2006. 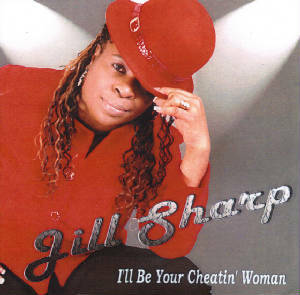 Jill has performed with many old and new artists such as Denise LaSalle, Roy C, Jonathan Burton, Shirley Brown and The Love Doctor. 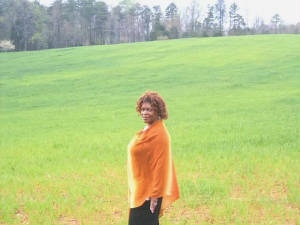 She opened the Sothern Soul Blues Fest in Greenwood SC Sept 9, 2006. Her latest album titled I'll Be Your Cheatin' Woman was produced and recorded in March 2010 in Jackson, MS at the Gate Recording Studio. All tracks were produced and arranged by Harrison Galloway. Jill's music can be found on many of the web sites selling music such as I-Tunes, and Rhapsody. It can also be optained in the local clubs through streaming thanks to CD Baby producing all three CD's for web and other sales. Jill & Chuck Sharp are available to answer any question, or discuss the possibility of doing a show anywhere, anytime. Chuck is retired, and is able to devote 100% of his time and efforts into making Snowbird Records one of the leading entertainment businesses in South Carolina, and Georgia. Music, studying, writing songs, watching good movies. My music can be purchased at this web site in length or digital.